John C. Lyden is a graduate of Rowan University's vocal performance program. 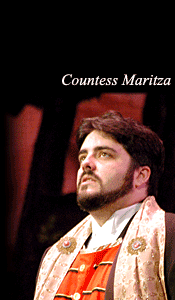 A former student of Ms. Marian Stieber and Dr. Eugene Simpson, John's professional experience includes years of professional solo work in the Philadelphia metropolitan area, several ensemble performances at Carnegie Hall under the direction of both John Rutter and Jonathan Wilcox and various roles in operas, straight plays and musicals. Amongst them are Papageno in Mozart's The Magic Flute, Baron Zeta in The Merry Widow, Victor Velasco in Neil Simon's Barefoot in the Park, Lazar Wolf in Fiddler on the Roof, Wilfred Shadbolt in Gilbert and Sullivan's The Yeomen of the Guard, Figaro in Le Nozze di Figaro and Frank in Johann Strauss' Die Fledermaus. In addition to his onstage work, John has performed as a soloist at First Presbyterian Church in Germantown on their annual concert series with the Philadelphia Chamber Orchestra. Most recently, John portrayed Charles Guiteau in the Spotliters' production of Stephen Sondheim's Assassins and returned to the Rowan University stage to make a cameo appearance as the 2nd Armored Man in their production of The Magic Flute. A resident of Mullica Hill, John and his wife Aimee are proud parents of two sons, Michael and Joseph.